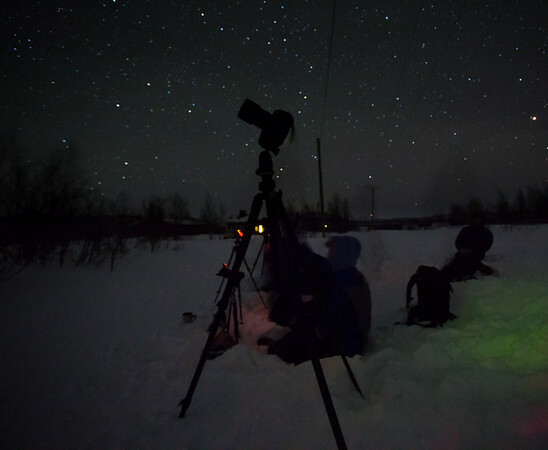 The Northern Lights party with cameras at the ready just waiting for the show to start. Northern Finland, 26 March 2014. Taken with Canon 5Diii and 17-40 mm f/4L at 17 mm. Exposure was 17 sec at f/4.0: ISO 12,800.